A pent up demand for business exits is driving transaction numbers, but in recent years most of our deals have been strategic in nature rather with only a few private equity buyers. For years buyers, particularly in the private equity community, have told us they were waiting for business owners to “get more realistic” in their pricing expectations. That wait appears to have ended in 2011 and it was buyers, not sellers that blinked. That is consistent with our experience. Buyers are paying historically high multiples for good companies. Underlying all of these numbers is a single reality. Private equity transactions, far more than strategic deals, are driven by the availability of financing. From 2005 to early 2008 the M&A market thrived on the creation of massive amounts of debt in the Shadow Banking system. Many billions of dollars of collateralized loan obligations (CLOs) and other off balance sheet funds were created to chase deals. That game ended abruptly with the crash and has not come back. Leverage is an absolute prerequisite for the private equity community; PEs cannot achieve their target yields with equity heavy balance sheet structures. As a result the larger leverage driven deals have been few and far between. There are some signs that the financing picture is changing. 2011 saw strong resurgence in both the high yield debt markets and middle market loan syndication activity. Both markets fell off somewhat in the fourth quarter as traders evaluated the possibility of world financial markets again falling off the rails as a result of the European crisis, but there are signs that the corporate debt markets are rebounding. As we have previously written, world monetary authorities appear committed to avoid this outcome at all costs and 2012 will likely see a binge of deficit monetization throughout both the western and the Asian economies. The liquidity they are creating is beginning to show up in loan statistics and, increasingly we are hearing from bankers that they are anxious to make loans. In contrast to prior years the word “good” does not always precede the word loans in those conversations. Past experience says that such a shift in thinking will lead to a lowering of underwriting standards and a return to cash flow based lending by the banks. When that happens “Katy bar the door” – we’ll be in for a wild ride indeed! So what does this mean for business owners and for the markets? Without sellers there can’t be an M&A boom and for several years most owners have been hunkered down rebuilding their balance sheets and profitability. They’ve been reluctant to come to market with their businesses for fear that multiples would be too low or that they would be measured against mediocre earnings. For a number of reasons we believe that may change this year. Owners are getting older. The last good time that Baby Boom owners had to exit was five years ago when many were in their early to mid fifties. Now they are nearing sixty and the oldest are already at what used to be retirement age of 65. If 2012 offers them an exit window, they have to consider the possibility that they’ll be in their late sixties or early seventies before another exit opportunity comes along. At that point personal health and mortality begin to drive exits regardless of the economic situation. Strong valuations depend on both the availability and the cost of financing. It appears that 2012 may be a Goldilocks year in which loan availability grows, but pricing stays low. That’s a formula for lots of deals at great valuations. Down the road we anticipate a strong increase in inflation. You can get all the details on that in this article. Should inflation take off, interest rates will inevitably follow, but potentially with a significant lag due to the monetization efforts of the Fed and the other global central banks. The math is simple. Once interest rates begin to rise the discount rates used in valuation models will increase and multiples will drop so there’s a premium for first movers. 2012 may be the last year in which U. S. business owners can take advantage of a low capital gains tax rate on exit. My colleague Abe Garver recently published a great piece on this subject. Abe’s bottom line suggests that failure to sell during 2012 will cost business owners heavily should they fail to sell this year. “After the ball drops on December 31, 2012, the federal long-term capital gains rate will literally skyrocket 66.7% in one second from 15% to 25% (21.2% plus 3.8% Medicare tax from Obama’s health plan). The world still suffers from a serious debt overhang that must be worked off over time. Our belief is that short-term efforts to address the debt are going to generate a significant rise in inflation and a stronger than expected economy short term. As we wrote recently our last experience with inflation in the U. S. did not end well. Inflation and recession/depression are not mutually exclusive. In such an environment many owners will find their companies under unexpected stress. I recall a highly leveraged client in the early 1980s paying 21% interest on $5 million of debt incurred to carry inventory that was no longer selling. The business survived, but it was not pretty. Globalization will lead to continued competitive stresses for many businesses, although the era of competition from ultra-cheap Asian labor may be coming to an end. In many industries companies will find it increasingly difficult to compete on a domestic basis only and conclude that merger with a global competitor is the best solution. We anticipate Indian buyers will return to the U. S. and European markets in force this year. Additionally the time is coming soon when Chinese buyers are freed to increase their purchases, particularly of U. S. based technology firms. The pace of automation/robotization is likely to increase in both the manufacturing and service industries. This will put pressure on private firms in two ways. Those that do not deploy the new technologies will fall behind and ultimately fail. Those that do will find the process very expensive. In addition to the direct capital costs incurred, major software systems changes are very disruptive and firms often pay a significant price in terms of short-term productivity while they struggle to adopt new business methods as well as the new technologies. These costs are very difficult to finance and, for many firms, sale will be the best option. If we are right and pressures are building for a significant increase in M&A activity, what does that mean for the markets? 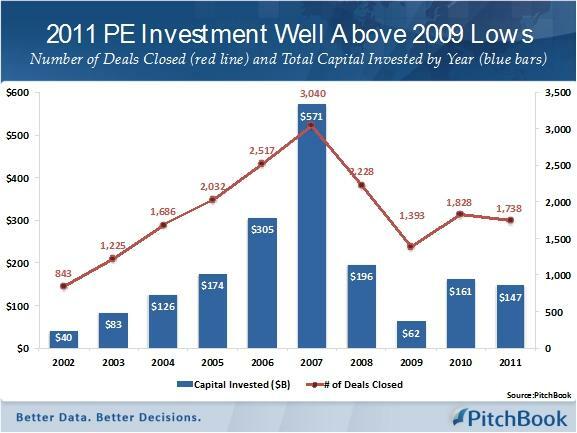 In our experience M&A booms are generally very good for equity markets. Business sales free up capital that requires reinvestment. This has a direct and immediate impact on equity markets as investors watch prices of publically traded targets jump and begin to look for other potential targets in which they can invest. It also happens over time as sellers invest a portion of their sale proceeds in their public equity portfolios. Additionally buyers are often able to leverage acquisition programs into a market perception of corporate momentum and increased value. As this feeds upon itself, multiples expand with a symbiotic impact on the IPO market. This was true in the early 1960s, the early to mid 1980s, the late 1990s and the mid 2000s. Of course these episodes did not always end well and cycles are far more compressed now than in the past. At this point everyone wants a party. When it begins enjoy it while you can: the hangover will be a doozy. Permalink | Comments Off on Will Business Owners Hit the Bid in 2012?